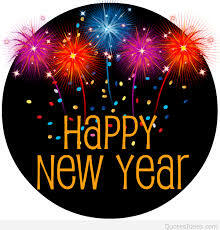 We would like to wish everyone a Happy New Year and we hope that you all had a great Christmas. Classes resume from this Saturday 6th January and we are looking forward to getting back to work. We have been planning the end of year show over the break. With so much to live up to from previous years we have some great plans for this year. Big congratulations to all our students who took part in Christmas Pantomimes in both Drogheda and Dublin. Our Golden Ticket winner for December is Alesia Astilean who wins a €30 voucher for Old Abbey Dance Shop. Congratulations to Alesia. 4 A Minute the single recorded by our students in early December is ready for duplication. We hope to have the CD for sale in the studios within the next 3 weeks. The final cut is fantastic and the students should be very proud of their recording. CD’s will cost €5 and all profits from the sale will go to charity. A huge thank you to Fran and Eric from Abbey Lane Recording Studios for a very memorable experience. We no longer give out class notes. Information is delivered via our news page at Kidkast.ie, Facebook and WhatsApp messaging. If you would like to be added to the WhatsApp messaging service please leave your details at reception and we will arrange this for you. Finally, next week is week 6 of term 2. We request that all outstanding fees are paid immediately as we will be sending fee texts from next week. If you are unsure of your balance, please ask at reception. 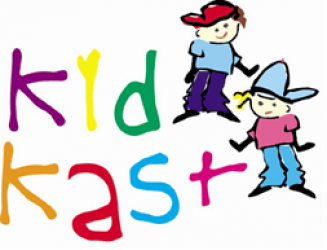 Thank you all for making Kidkast what it is, and we look forward to seeing everybody over the coming days. I want to know the payment for different classes and I can’t find it. I don’t really know this site but if you can tell me the payment for tap dancing and hip hop dancing. Thanks! Our fee’s are detailed on our letters page under the heading of useful forms. Our fees are charged by time and the tap dancing classes and hip hop classes can be 1/2 hour or 1 hour long depending on the age group. What age were you enquiring about please? Fees are charged per 10 week term and cost for 2 1/2 hour classes €90 per 10 weeks and to take 2 one hour classes per week costs €170 per 10 week term. Please come back to me on the age category and I will let you know which your fees will fall into.